In many regions of the country, the high school season ends with the end of high school. However, many lucky kids are just starting preparation for the Youth Club Championships. 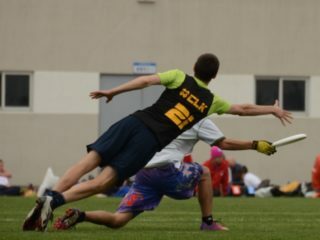 I recently moved from Lancaster, Pennsylvania, where the youth ultimate scene is tiny, to Carrboro, North Carolina, where there are high school leagues, tournaments, YCC teams, learn-to-play clinics, and a multitude of other playing opportunities that I’m still not clear about. It’s unbelieveable. It’s totally awesome. It makes me very happy for the future of our sport. 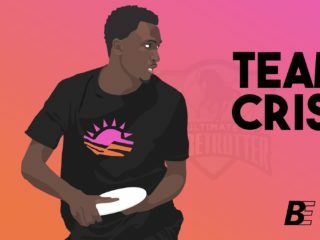 But we still have plenty of opportunity for growth in youth ultimate. Before we get too big, too fast and before we go too far down the road of no return, let’s take a moment to remind ourselves that Spirit of the Game suggests that we respect the bodies of these kids for whom we’re responsible. Because I want what’s best for the long term athletic development of the players in our community, I’d like to remind us all, especially coaches, of a few principles that should govern the amount and kinds of playing opportunities we give to our kids. In our rush for growth, let’s be a little careful. Having leagues and opportunities for high schoolers to participate in travelling teams like YCC’s is great. However, as a community we need to be aware of the possible consequences of extending the playing season for athletes ages 15-19. More and more research is showing that kids who specialize in sports early are more prone to serious injury and/or burnout from sport. Soccer and baseball clubs are just now starting to recognize the dangers of piling on too many playing opportunities and pressuring athletes to specialize too soon. There are signs that organizers of these sports are coming to their senses. Youth baseball has strict limits on pitching volume for youth athletes. Even with these regulations, players who play 8 or more months of the year still have a fivefold increase in elbow injury risk. Pitching is a special case. Even so, let’s think about these issues before we have similar problems in our community. No one wants to see an epidemic of 16 year olds with torn ACLs. In fact, this epidemic is already underway. While proper strength training and other prehab exercises can reduce injury risk, there will still be a correlation between long seasons and high risk of injury. 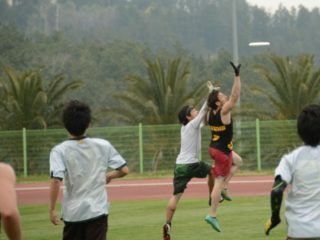 This, I think is why college ultimate players have so many problems. Though they are beyond the adolescent stage and more robust, it’s still really difficult to keep the body together year after year without a few months off for real offseason preparation. Kids are not miniature adults, and they don’t respond to training the same way. Because they are still growing, their ligaments are not as strong as the ligaments of an adult of the same height. This may contribute to their risk of injury due to overuse. Kids also don’t have the same work capacity that adults do. Coaches may believe that young kids are inexhaustible. Perhaps in comparison to a sedentary adult, that’s true: They have a lot of energy. But they also have a very young training age, and it is the training age of an athlete that largely determines the volume of work they can handle and recover from. Unfortunately for young athletes, the training age will be (or at least should be) much less than the training age of a college or club athlete. Treat them accordingly and don’t expect them to do nearly the same volume of sprinting, running, plyos, or whatever as trained adults. 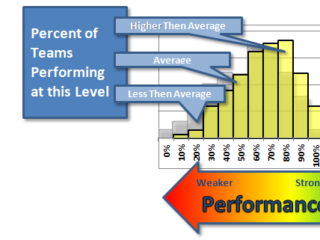 You cannot rush training adaptation and you cannot cheat nature for long. Overtrained athletes will eventually have injury problems. If your team has a large number of injuries in any given season, you may want to re-evaluate your strength and conditioning philosophy. Coaches may have a lot of knowledge of ultimate, but a lot of them lack knowledge of strength and conditioning principles. Consequently, many coaches fall back on using the same things their coaches did in high school. Thankfully we are now finally getting rid of the old static stretching routine. I hope the next thing on the chopping block is the addiction to suicides and other excessive amounts of conditioning. Conditioning is good. Training is great. Running kids until they can’t stay in control of their running form is very, very bad and I think it happens too frequently. This article was in part inspired by Dolan Jackson’s “No More Tournaments” article published a few weeks ago. Long before that, Mike Mullen a pushed for scheduling guidelines for high school ultimate players. USA Ultimate has limits in place for how many hours young athletes can spend playing per day at tournaments. Teams that go to YCCs must also be part of a youth league. Having league playing opportunities tied to the opportunity for a region to have a travelling team is a very smart move as it allows for more playing time for more athletes in a non-tournament format. It also reserves the tournament format for the most committed and (hopefully) most physically prepared athletes. Ultimate Canada has gone even farther with its truly excellent adaptation of the Canadian Sport for Life Long Term Athleteic Development (LTAD) principles for ultimate. The LTAD model proposes age-appropriate guidelines for sport participation and specialization. Many well-respected strength and conditioning coaches are becoming more vocal about the needs of the athletes they train. Eric Cressey, Mike Boyle, and Vern Gambetta are all very experienced strength and conditioning coaches for elite level athletes. They all argue against early specialization in sport. Kids should be active all year round but they should definitely not specialize in any specific sport in middle school. Before the age of 14 or so, kids should be exposed to a wide variety of movement patterns and skill development opportunities. In high school and beyond athletes may choose to specialize more, but high school athletes will still benefit from spending part of the year away from a disc doing something else. Provide playing opportunities for kids your community, but consider having a full four months when there is NOT anything scheduled for youth athletes. If you offer play all year round, many kids will take you up on it. Remove that possibility by ensuring an off season. If you provide year round opportunities for playing ultimate, educate parents and coaches about the injury risks of specializing in one sport too early and encourage participation in other sports as well as ultimate. 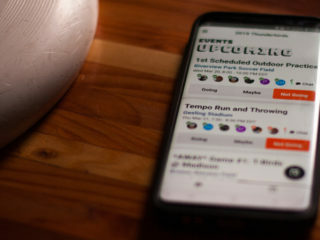 If you are reading this, it’s because your kids love ultimate. They may want to play all the time. They may also want to eat ice cream for breakfast, but you probably won’t let them do that because it’s not good for them. Neither is playing ultimate year round. First, encourage your kids to spend part of their year playing another sport. Yes, this may impact your winning percentage over the short term. Coaches who encourage their players to play ultimate all year long will likely have more skilled players in the short term. But multisport athletes will turn out as better athletes over the long term. A variety of movement patterns and skill development will reduce the risk of overuse injury and burnout for your athletes. Second, build movement skill and athletic development into your practices with appropriate warm up and conditioning exercises. You’re fighting against sedentary lifestyles and cuts to physical education in schools, and it’s likely your kids are coming to you underprepared for the demands of ultimate. Truthfully, you can’t fix everything. But you can educate yourself and take some measures to help in injury risk reduction. If you’re interested in learning more about the long term athletic development of your kids, sign up for more information about the Ultimate Results Coaching Academy.